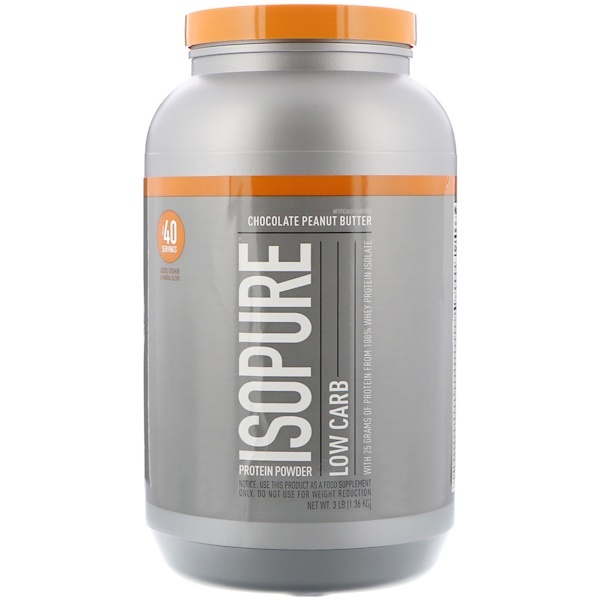 25 grams of 100% pure whey protein isolate with only 2 grams of carbs in sight. And still it comes with naturally occurring and added glutamine and added vitamins and minerals, but no lactose or fillers. 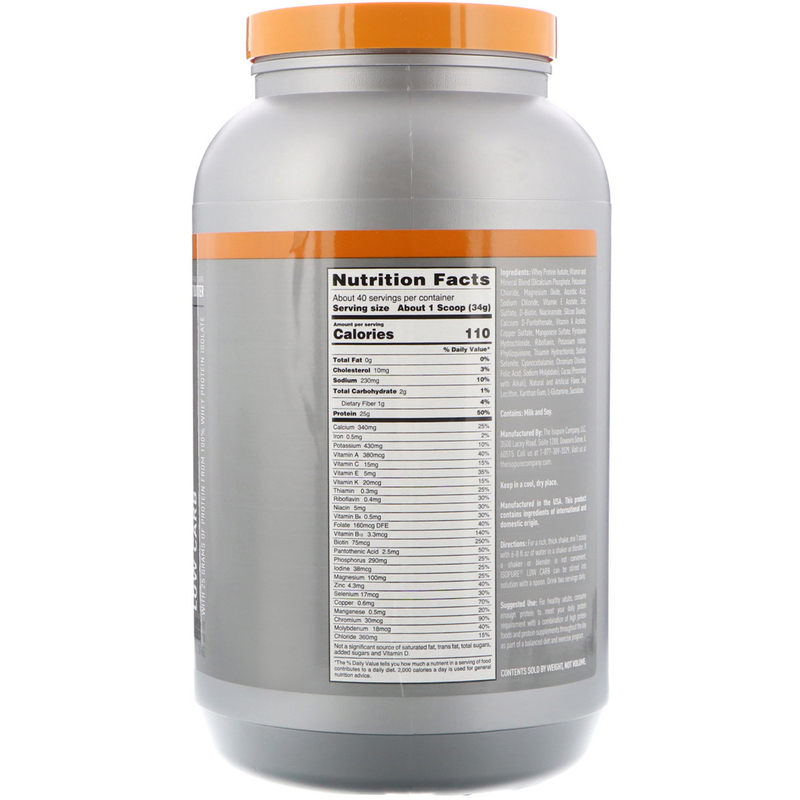 Whey protein isolate, vitamin and mineral blend (dicalcium phosphate, potassium chloride, magnesium oxide, ascorbic acid, sodium chloride, vitamin e acetate, zinc sulfate, d-biotin, niacinamide, silicon dioxide, calcium d-pantothenate, vitamin a acetate, copper sulfate, manganese sulfate, pyridoxine hydrochloride, riboflavin, potassium iodide, phylloquinone, thiamin hydrochloride, sodium selenite, cyanocobalamin, chromium chloride, folic acid, sodium molybdate), cocoa (processed with alkali), natural and artificial flavor, soy lecithin, xanthan gum, l-glutamine, sucralose.